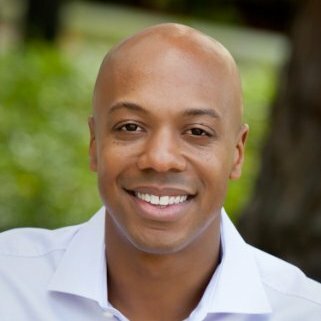 What Charles’ experience at SoftTech was like and how he made the transition to founding Precursor. What his continuing role as a Venture Partner at SoftTech entails. How Charles decides to study a new, emerging market and some of the markets that he’s analyzed over the years. The three components of his approach to getting smart on a new area. How important timing is and how he considers if the timing is right for a new area. If he assesses markets vertically and looks for the level within the supply chain stack to see where a company is playing and which level within the chain is going to exert the most control over the market. How he breaks down market structure and the critical components therein. The importance of the degree of homogeneity of the customer base within a target market. How he thinks about companies disrupting existing markets and those creating brand new markets. We discuss how there’s always a good reason to say no to startups and, more importantly, the key, recurring reasons that come up that cause him to say yes. How he measures TAM in an area that’s nascent where the market doesn’t yet exist. Nick: Absolutely. So today we’re talking about developing a point of view on a new market. But before we jump into that, can you walk us through your background and also how you became involved in startup investing? Charles: over, you know, my shock that the Central Intelligence Agency would have an interest in venture capital, and that I would know somebody who was connected to the Central Intelligence Agency, I explored the role and it just turned out to be one of those things where when I looked at all the jobs that were on my plate, that was the one that I said this feels very much like a once in a lifetime kind of opportunity. And so I decided to, to take the plunge, and ended up working at # In-Q-Tel for just under 4 years. It gave me a lot of exposure to the world of venture capital, and it gave me a lot of exposure to the unique technology needs of the CIA. And it kind of, for me, sparked a real deep interest in venture capital as a career but also it made me acutely aware of kinds of limitations of what you can do in VC as a brand new college grad that has limited operating experience. Nick: So what was the team like there at the CIA? And were the responsibilities very different working in government than in a private VC capacity? Charles: Yeah, you know, I would say that this might be kind of not as exciting an answer as some of the audience will like to hear but the audience at # In-Q-Tel I think had the same tension that all corporate or strategic venture capital groups have. Which is how much of our activity and time should be spent doing things that directly serve our kind of client or sponsors core mission in today’s problems, versus how much of our time should be spent addressing future things that are on the horizon that will be problems in the future but are not problems today? And I was really impressed by the folks in the government that I have met and sort of their ability to kind of hold in their mind on the one hand that here’s the things we really need to address in the next couple of quarters and years, and here’s the areas where we want to exploratory investments made so that we understand state of the art in terms of technology. So I think when I talked to my friends who have worked at other strategic venture capital groups, the nature of the problem was different for us at # In-Q-Tel but the dynamic tension was similar. Nick: Got it. And when did you make the decision to transition into # SoftTech and also subsequently how did you decide to, to branch out and launch # Precurser ? Charles: Yeah. So to, to transition into # SoftTech, I had started, I had been the head of Business Development at a games company that was acquired by # Zynga. This is sort of call it Circa 2009 – 2010. I also had built a media business with a friend that was focused on free to play games. And in both cases, I was reaching the point where, you know, the company getting acquired by # Zynga kind of freed me up. I ended up selling that commerce and events company. I went from a really intense time when I had sort of two jobs around the clock to a period of time where I had a chance to step back. And I made some angel investments and had some advisory roles in a handful of companies. And realized that I liked investing and was continuing to write new checks. But as I looked at my own sort of time allocation I said the best way to be an investor given what I want to do, but actually be to find a way to become a full time investor. And so decided to really focus on moving back into a full time venture career. I had been approached, as I was sort of going through this thinking, had been approached by a number of other firms that were thinking about adding people to the team and sort of I had no job for a really long time. Going back actually to my # In-Q-Tel days. Because # In-Q-Tel and # Reuters at the time, had very similar investment mandates. And so after a long talk, we decided we would, you know, give it a shot and work together. I had a great time working at #SoftTech for almost 5 years. But # SoftTech has had tremendous success investing in a bunch of really amazing companies, some of which like #Fitbit have managed to go all the way and go public. And, you know, we had the ability to raise larger and larger funds. And as we raised larger funds, the investment strategy changed and we went from being kind of first money in investor to the investor that would come in once you had some level of traction or proof around your model. And I think that that’s a good use of the time and talent of the team at # SoftTech. But I just kind of yearned for the days of old when we were first money in, when we were investing smaller sums of money in companies that were earlier in their life cycle. And I felt like there was a market opportunity to create a firm that would focus exclusively on those kinds of investments, as many of our peers and my friends had the success that enabled them to grow their fund size and move upstream. Nick: on launching # Precursor. Can you tell us a little bit more about your venture partner role? Because I know that your solicitors venture partner at # SoftTech , and a lot of folks have pinged me about what these roles like EIR and Venture Partner mean. And I’d just like to hear from your standpoint what your duties are or what you’re responsibilities are as a venture partner? Charles: Sure. So I think venture partner means something different at every firm. I think when I talked to the, the folks at # SoftTech it felt to me that they are still companies where I was the principal relationship that that company had with the firm. It didn’t feel great to ask those people to build new relationships with my colleagues at # SoftTech. It also didn’t feel right to saddle my colleagues with new relationships that would, you know, compete with their time and attention for things that they wanted to sponsor. And so I told # Jeff and the team that I’m happy to continue to serve as the point person for these companies going forward until they kind of raise the next round or outgrow the sort of #SoftTech stage of involvement. So I’m not making any new investments on behalf of the firm, just supporting a handful of companies that I had invested in prior to leaving. Nick: Got it. And I’ve seen in your bio that # Precursor is focusing on B2B and B2C software companies. Is that the extent of it or is there sort of specific sectors or areas similar to what you focused on back at # SoftTech? Charles: Yeah. So here’s the way I would, I would think about it. My original thesis was I was going to focus principally if not exclusively on software investing. And then people started bringing me really interesting hardware opportunities. And when I had been at # SoftTech, you know, hardware wasn’t something I did, largely because you know Jeff was the seed stage investor in # FitBit , in # Coin, in # August , in # 6SensorLabs, in # Halo Neuro, in a bunch of really interesting hardware companies. And within our partnership, Jeff just knew far more than I did about hardware. And so naturally our hardware entrepreneurs who approached the firm would gravitate toward working with Jeff because he was our subject matter expert. So I never really had much of an opportunity to dive into hardware on my own. And ironically the first investment I made out of the fund was a hardware company. Now I can’t tell you which one it is because they still haven’t announced what they’re doing, but it really opened my eyes to the opportunities in and around hardware. And it’s been awesome for me to get a chance to kind of develop my own set of thesis and best practices in and around hardware. So that wasn’t something that was going to be a key part of the fund, but I’ve made two hardware investments in the fund and will probably make a third later in this quarter. Nick: This makes a lot of sense with you starting your own firm, you know, with today’s topic. And in light of that topic, developing a viewpoint on new areas, can you start off by mentioning how you decide to study a new emerging market and maybe mention a few of the markets that you’ve developed a point of view on over the years? Charles: Sure. So I think, I tend to lean hard on my academic training and, you know, I think one of the best things I learned in college as an economist is really just how to kind of pick apart a market. And the thing about all of the things that make for good markets and all of the things that can make for, for bad markets. And so I actually spend a lot of my time trying to figure out like what is this market going to look like at scale. That’s usually what I start off with. And a lot of times, I think a lot of people get fixated on market size, you know, like is this going to be a market that can be $10B in the next 10 years? Charles: I actually tend to focus on market structure first. Because I think market structure is to me as important as market size. And here’s what I mean by that.. I often times will think about businesses and say at scale is this a winner take all market? Is that where it’s trending? Are there network effects, are there sort of benefits to particularly with marketplace space businesses? Are there structural reasons why everybody, consumers and service providers in this industry, should be at one common platform and is that kind of the outcome maximizing thing for everybody? And I think when you look at some things like transportation and delivery services, you could make an argument that consumers and suppliers from an economic standpoint are best served if everybody were on one platform because it would have the most liquidity, lowest search costs, lowest transaction, lowest transaction costs for both sides. Now there’s other arguments why, you know, as a service provider I might not want to be completely be holding on only one channel. And as a consumer I might not want to monopolistic provider of any service that I depend on. But there’s some markets where you realize wow like the steady state is probably like one large winner. And if that’s the case, that really influences the way that I think about the companies and their strategies and it influences who I look for. And I could give you some examples of companies like I would, without getting too specific, one of the companies that I sort of helped # SoftTech invest in when I was back at the firm was a company called # Shippo that provides shipping API. And there’s a lot of really interesting properties about the way that they architected their system that create tremendous benefits for the network of people who were on their platform. Such that as they acquire more people using the platform, it becomes more valuable for everybody who’s already on it. So I think those are kind of for me like the holy grail kind of businesses where, you know, the steady state is that the market leader will get a disproportionate share of the outcome. And that you feel like you found a team whose viewpoint on how their market will develop, it resonates with mine. And I think that they are uniquely qualified and situated to go after it. Now that doesn’t always happen. So I usually start with market structure. The next thing I usually go into is like well what are the, what are the like fundamental gross margin business economics of the service that they’re trying to provide, again at scale. So I always ask myself like what does this business look like at scale, like what do I think they can charge their customer, what do I think the core inputs of the business are going to be? And to me this is like multiply add subtract divide kind of math. This is not, this is not, you know, whip out excel and build a 10 tab model. It’s kind of can you pencil out a story that makes sense. Where you believe that the business has kind of core drivers that are going to make it long term viable and sustainable. And then there’s this sort of other macro question that I always ask myself. And it goes back to a blog post that # Michael Arrington wrote many years ago about swimming upstream. And this one’s kind of hard to explain to founders, is the thing that they’re building is the world bending in the direction that these founders want to go? Because there’s plenty of legacy markets that aren’t going away. But they’re probably not going to grow and be interesting in the future. And so I’ll give you an example. I met probably 8 or 9 companies that were working on valet parking in urban areas, kind of like an Uber like model. And in many cases I told the companies I’m like I believe everything about your business except for the arc of history. I think urban car ownership, whether you believe in self driving autonomous cars, whether you believe in, you know, increased penetration for listing Uber making the average ride cheaper. So I’m just I’m kind of bearish on long term urban car ownership and I’m bearish on the role that sort of self that, you know, human driven automobiles will play in urban landscapes in the future. And against that backdrop it’s really hard for me to bet against the future. And that’s a highly subjective thing to tell someone. Same thing is true, I’ve met companies that are building really interesting cloud based business telephony systems. And I just ask myself like what’s the future of the office desktop phone? To me it’s like it’s not great. I’m just giving the trend that I see around mobility and services like Skype. It makes me somewhat bearish, the idea of having a way to contact a person in a business context. And all of their devices makes sense to me. But that might not be a phone number, and it might not have the same economics or the same structure of traditional landline telephony. And so for me that ‘Is the future heading in this direction piece?’ is really really really critically important. And so I do a lot of my thinking on new markets kind of from the bottoms up. I always ask myself like what would I have to believe about the world for this market to be really interesting and large. Nick: a lot of these services that we’ve, we’ve come to know and love are certainly going to be gone in some matter of time, but we could be talking one decade or we could be talking multiple decades. Charles: Yeah, and I think timing to me is I always ask myself kind of the same set of questions whenever I meet a founding team. I don’t usually ask them explicitly but they’re running through my head. One is hey why this team, what is it about this collection of individuals that makes them special and unique in terms of their world view? Why this market, you know, why are the building what they want to build but most importantly why now? I always ask people why not do this two years ago, why not do it 2 years from today? Why now? Because for most startups if you miss your window by two years either way, either you’re going to be late to market and someone else is going to have figured out things that made progress or you’re going to be too early. And so I think the timing piece is really important. And for me often times for me the timing piece is really subjective. It’s like when did people feel sufficiently comfortable with their cell phones to do things that you didn’t think the’d be willing to do? Or when is cell phone penetration high enough? Like what’s the threshold mark? Charles: So I think you have to kind of take all of these things into account. And it doesn’t mean that you’ll get it right every single time. But for me, it gives me a framework to try to break these problems down. And when I meet businesses and tell them like here’s a perfect example, I’ll give you like a real world example. I met a really interesting company last week that’s building infrastructure for mobile games companies. Really smart group of guys, really good market timing. They had your classic time slot. Look at all of the money that’s spent on mobile games, look at how big some of these mobile games companies are. And what I told the founders, I said but listen when I look at the apps or charts, there’s 5 to 10 companies that are probably the majority, more than 50% of the dollars and accounts and revenue is going to a relatively small number of players. So if you don’t have those players as customers, I’m not sure that rolling everybody else up creates a terribly interesting business despite the fact that there’s a lot of money in games. And they’re like we have never thought about that. That’s, that’s the way I think about the market. You know you have a revenue traffic attention that’s concentrated in a really small number of players and if you don’t have them on board, you maybe don’t have the business. Charles: And so it takes, the problem is you sometimes have to see three or four companies in the same market space with different strategies to build your own thesis about around what will work. And so part of it is iterative. I think I usually start off with the basic thesis and then only 3 or 4 companies. And the thesis is just that, it’s like a set of beliefs. And sometimes I’ll meet companies and they’ll say hey you might have believed that A B and C was true, we thought so too. But here’s actually learning from our customers. And we’ve tested that thesis. We came in with the same point of view. And it turns out that in practice that’s actually not what people want to do. They want to do something very different. Nick: Interesting. Do you also look sort of vertically through the supply chain or the, the supply stack and figure out which level is going to exert the most control over a market? Charles: And a lot of questions that, instead of asking people like why couldn’t so and so do this, I’m like why aren’t they doing? Like if it’s so obvious, like what is it about their strategy that precludes them from doing this? And sometimes it’s just a question of they haven’t gotten around to it yet. And in other cases, there is, you know, business model reasons, there’s strategic concerns, there’s partnerships, there’s capabilities in the company that preclude them from being successful in these extensionaries. And so a lot of what I’m testing for in that is I’m trying to figure out how well does the founder understand the landscape that he or she is playing in and the relative strengths or weaknesses and tendencies of the companies against, against which they’re going to compete. Nick: So, going back into these, these 3 points that you made that, that you kind of study when looking at a new area. Number one I had market structure. Number two I had sort of the economics of the market and if they make sense. And number 3 was sort of the relevance of the product or service long term and if it’s going to be a value contributor in the long term. So the three main areas that you study when looking at a new market included, number one, the market structure, number two, the economics and number three the long term relevance. Can you provide some more thoughts on what you are analyzing with number one, the market structure piece? Charles: You know there’s some markets where there’s one really really big incumbent who has a lot of strengths. And if there’s a company that’s, you know, so if you have a, if you have a company that’s really really good at selling to the highest high end of the market and providing in a B2B context, really great customer service. They’ve got like the high end sales reps. They’re, you know, really good at direct selling to the biggest of big accounts, but they’re terrible at the low end, there’s probably an opportunity to disrupt them there or at least compete with them. Because so much of that company is oriented towards serving their high end customers. I think what’s more difficult is like markets where it’s really fragmented. Usually that tells me something about the nature of the buyer, look at the market like CRM. I think most people think oh #Salesforce like controls the whole market. Last I checked, #Salesforce was somewhere between 17 and 20% of the CRM market. Charles: So like 4 out of 5 people are not using #Salesforce. They’re using something else. They’re using Microsoft Dynamics, or they’re using Base or they’re using Highrise. They’re using something else. And the fact that CRM is really really fragmented tells me that it’s really hard to build a standardized product in that space that meets the needs of all customers. Charles: So if someone comes and tells me hey we’re going to build this next gen CRM system, there’s all these businesses out there we think we can get them all. Well, the reality is that turns out they’re being viva systems and doing a really interesting thing on top of Salesforce for one market thats highly specialized and their needs can produce a monster company. And it probably will produce more value than many of the, you know, broad based approaches to tackle in CRM. Nick: So is there a component on sort of the degree of homogeneity of the needs of the customer base? Charles: Absolutely, absolutely. And to me, market structure kind of, for me it’s a quick way to get into that. Like for example, there’s some hardware categories that I’ve seen where there’s a legacy incumbent provider that has 70% – 80% market share in some category. They have a strong patent portfolio but they’re not innovative. And so in those cases they go okay so really there’s one big dog company in this space. Because of who they are we should assume that they’ll be litigious, and we could assume that if we get a modicum of success, they’re going to throw the weight of their patent portfolio after us. And as that they’re probably not the most technologically adapt or technologically innovative company against whom we’re going to compete. So if we’re going to market, we should know that at some point we’re going to get sued. And that we need to resource the company in such a way that a law suit doesn’t tank us. Or we work on building an innovative product, like I’m sure the folks at Nest were not stunned when Honeywell sued them. Charles: They are smart people. And so I think knowing, knowing that you have one really big entrenched player with a lot of market share, if you compete with that company, like I don’t like competing with large high share incumbents in their home markets. Often times like I wouldn’t want to compete with Google in search , I wouldn’t have wanted to compete with Microsoft in productivity apps or operating systems back in the 90s. Like competing with an incumbent that has high market share in their core market, you’re going to get their best punch. They’re going to have their best people working on defending the core. And so that’s the other thing, the reason I look at market structure is because sometimes just like we’re going to compete with that company kind of on their home turf. So we really better have a differentiated approach and go to market, relative to what they have. Otherwise, you know, we’re going to get the full brunt of all of their, their marketing efforts and strategy effort and things like that. Nick: Yeah, on that note, like, when you look at a, an AirB&B or an Uber, clearly they’re disrupting existing markets at the same time they’re creating markets. Nick: Is it the difference in go to market strategy of an Airb&b or an Uber that they’re totally going after the market in a fundamentally different way than sort of the, the incumbent players and the taxicab market for instance or the hotel market? Charles: Yeah. I think hardest businesses to, this is sort of I hope this answers your question, but its something I think about a lot. I think businesses that are fundamentally about taking share away from an existing activity are actually kind of easy to understand. Because you can just say like if Airb&b were just a cheaper hotel, you could say okay well like they’re really going to take hotel rates from 250 bucks a night to 150 bucks a night, that will maybe slightly increase demand but maybe demand for hotel rooms is not elastic, maybe it’s just a function of, you know, how many conventions and companies you have in your city. So maybe even slashing rates in half doesn’t fundamentally change demand for hotel rooms. The harder business is the valuable ones where you’re actually creating a new experience that people haven’t had. Charles: Because that’s family of, there’s ten of them going away for the weekend. And rather than rent 5, the idea of renting 5 hotels rooms never occurred to them because renting a house is much cheaper. Or I took Lift to my office today and I use Lift probably more times in a week than I use Taxi cabs in San Francisco in a month. Because the experience unlocks demand-supply patterns that were probably apparent before but not easily accessible. And those businesses usually end up being the biggest failures and the biggest successes unfortunately. Because then you’re really betting that people will start doing something that they hadn’t been able to do before. Nick: Yeah. And on that note, how do you think about these sort of nascent markets or these companies that are creating brand new markets in the context of, you know, your structure and your approach on developing a point of view on a new area? Charles: Yeah, so I think, here’s one thing I think about. I think in venture the hardest thing is that venture capitalists were pretty social animals. We all like to think that we’re doing smart interesting things. Sometimes you’ll make an investment in a category, and it looks foolish for a really long time. And having to , and I think it’s very hard in venture to have a conviction on a category or an idea and to just sit with that, when your peers and the press are telling you that it’s dumb. Like listen I was a # Y Combinator demo day when # Cruise was presented. And a lot of people said there is no way I’m getting in a car driven by some technology created by a startup. No way am I putting my life in their hands, literally. Charles: And there’s a lot of good reasons to think it was foolish to believe that. I remember when I was at Google and when we heard about Dropbox, when I worked at Google back in the early 2000s, we said there is no way a little scrappy startup company can do a better job of providing cloud storage than we can. It’s a technical problem that requires scale and expertise. There is no way that this, and, you know, we, I think it’s pretty clear that Dropbox has really given it a go, and to do these things that really requires a certain level of patience and a depth of conviction that you’re right. And sometimes you won’t be right. Sometimes you’ll just be really really wrong. And I think not everybody can, can sit with that. Nick: It’s an interesting sort of area to be in in general because the general public is, is going to, is going to think most of what you’re doing is ridiculous. And then even within your peer set in VC, people are going to think categories are ridiculous. Charles: I mean the number of people I know who saw the original #Airbnb pitch just said no one’s ever going to do this, I think they were actually right. It turns out that the thing that’s really propelled #Airbnb is not exactly, you know, renting out someone’s couch or renting out an air mattress on someone’s floor. The product that’s propelled them is not the same as the product that they pitched. Charles: And so I think that’s the other thing in venture. I come into every conversation with the basic belief as a VC there’s a good reason to say no to every single startup that comes into our office. Like I could, I could, I could manufacture a pretty easy obvious reason to pass. And so the real question is like why do you say yes? And like what’s your own internal discipline and rationale for getting to yes? Nick: So what is that, what is that answer? How do you get at, you know, a yes? Based on the way that you’re approaching this, you’re looking at the economics, you’re looking at market structure, you’re looking at, you know, the relevance and timing. What are some of the things that, that really jump out to you on a recurring basis on reasons why you’re saying yes? Charles: And I think products can and do change actually quite often. And honestly founders are better, good founders are better at finding product market fit than VCs are. I can assure you if I put the snapchat UI , UX in front of a hundred VCs, 99 of them would have said this is a completely unusable product that no one will ever use. So as I try to stay out of the product lane, because I think that’s for consumers and end customers to decide, not for me. But the reason I stack them that way is that it’s very easy to fall in love with people. I know I have a tendency to do this. And the reason I use that market check is because if I invested purely in people and the quality of people and their energy and enthusiasm and their creativity, I’d make a lot of investments in companies that look some of them would start out, you know, building something, realize that they’re in the wrong market, pivot, find success and turn out to be heroes. That’s actually not the normal state of affairs for startups. The normal state of affairs that I’ve experienced is you pick the market that you’re in, you try to build the product. The first product doesn’t quite hit the mark but you stay in your same core market and you iterate within that frame. And it’s only when you become convinced that the core market you’re in is no good, that you start thinking more broadly about other places you could direct the team’s energy. Charles: But usually by then, as a seed investor you’ve spent most of the money and it might be too late to do anything about it. Charles: So I use that market piece as a check. If I get really excited about people, I’ll then ask myself wait a minute, what a minute, hold on, press pause, what about the market and the specific opportunity they’re going after, is that exciting too? And if the answer to that is no, then I’ve, I’ve told people I really you and your team, I have deep reservations about the market that you’re going after and I can’t move forward based on those reservations. And usually one of two things happens. I’m completely wrong and there’s a great market there and they go on and they’re successful, three things happen. Two- they get in there, they pivot, they find something more interesting and I never get a chance to reinvest because they find that it wasn’t as, it wasn’t as interesting as they, that the new thing that they’re doing is interesting and if they have momentum to continue with that. Or third, and by far the most common, three quarters later they come back to me and say you know we went down that hole and turns out that for reasons either the same or different from what you identified, it wasn’t a great market and so we’re doing something different now. And I’ve just made peace with the fact that I’m willing to miss out on opportunities where I don’t get control with the core market opportunities that people are going after. And if it turns out to be bigger than I think or different than I think or they pivot into something that I didn’t anticipate, I will lose those and that’s okay. Nick: You know, you mentioned earlier that you prioritize market structure over TAM. And TAM is typically a function of price and volume. If the product is this fuzzy thing that’s maybe less important than the team and the market, you know, how do you assess the, the TAM? Specially in a nascent market that doesn’t yet exist? Charles: But I also look at not just like is it a money being spent, but are the leading companies healthy good gross margin businesses? So like the TAM for grocery stores is enormous. The gross margins for running a grocery store, unless it’s whole foods, are like not amazing. Charles: And so versus the TAM, I mean look, #Workday, #Salesforce, Markadle, #Oracle, we’re talking about 70% gross margin businesses. Pretty good businesses to be in at scale, and big TAMs. So I’m always trying to ask myself like if this company is successful, what does the world look like when they’re successful? Is it a lot more, are they going to fundamentally bring a bunch of new consumers to the market. And like this is about non-consumption until the current TAM isn’t that relevant because their whole belief is that they’re going to bring in some new people who have been on the sidelines of the market. Or is it that they’re going to reallocate sort of some of the gross margin that’s kept by this the surplus that’s kept by the producer and reallocated to the consumer? Because I think all of those things if you kind of pull on those threads long enough you eventually get to an answer. Charles: And my TAM answers are usually this feels like it’s going to be a really big market because I can envision a lot of people paying a reasonable price for this product in the future, not so much I think it’s going to be $250M in revenue in the next 5 or 7 years.